You’re desperate to save some serious money this year. 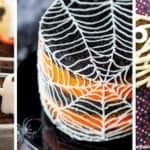 You need this bi-weekly savings to plan to help you do this. What would an extra $5,000 mean in your life in the coming year? There are so many things that can come up in a year. You can make plans to travel, buy a new vehicle, start planning a wedding, or you just may just want so money to put away for a rainy day. Whatever it is, one thing is for sure, there can never be too much money saved up for unexpected events. That’s where this bi-weekly savings plan comes in! It will offer you a little help to stay on track with saving thousands of dollars this year. This bi-weekly savings challenge is for you if you get paid twice every month and want a money saving challenge that coincides with your paydays. This bi-weekly money saving challenge is for you if you want to save up some money every time you get paid. This challenge will be a lot easier on you than the 52-week challenge or the 26-week challenge, for the simple reason that everytime you are due to save money, you will have money from your paycheck. Having the savings challenge coincide with your paydays is simply the best thing that can propel you to really stick to the savings challenge. Quite frankly, I don’t know if there is anything else that can make this saving challenge a success for you this year. So, if you are eager to start this money saving challenge, continue reading for some awesome tips. 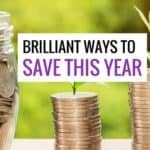 Helps instill a money saving habit – More than just the money you will save this year, this saving challenge will also help you to build a very important habit. Think about it, many of us find it very hard to save money. After all, why save it for later when you can spend it right now. But, having to save money throughout the whole year make it something that comes almost naturally to you and thus makes this a much easier habit to carry with you throughout your life. Helps give you freedom – Saving money is the best thing you can do if you like your freedom. Freedom to do the things you like rather than the things you have to do. For example, you can choose to have a nice family trip at the end of the year without going into debt to do it. Help provide some financial security– So many unexpected things can happen at any time that may require money. By going through with this challenge and having this money set aside, you help yourself feel more secure and less anxious, without having to not have to worry about financial emergencies. This money saving plan is designed to help you save exactly $5000 this year, which may seem like no easy feat. This means you’ll be needing to save approximately $208.00 every two weeks. It goes without saying that this can greatly benefit you in the long run, however, taking out so much money from your paycheck every week may seem like a lot. Keeping this in mind, below you will find 10 easy things you can do to help you make this money saving challenge a true success this year. It is important to do these if you feel like you can use some extra help, if you’re already stretched thin with all your other expenses or if you like to have some wiggle room with your money every month. Use these to help you make it through so that you don’t give up on this challenge. Because believe me, at the end of the challenge you will be so proud of what you have accomplished. Make a solid budget – Budgeting is overlooked but it can help you cut out excess spending. If you know where every dollar goes in advance, you will be able to figure out where you can make cuts without causing any adverse effects. For example, if you look at your budget and notice that you spend $60 every month for coffees, and another $130 for lunch, you can easily decide to make your own coffee and bring your lunch to work to save up to $190 per month! Using a handy budget planner can help you make a solid budget and track all your finances in one place. Ask your spouse or partner to pitch in – You don’t have to go this alone. Speak to your spouse or partner about it and get them on board with you so that you’re each helping out. You can get paid for something as simple as sharing your opinions via paid surveys. Companies like Survey Junkie will pay you anywhere from $0.50 -$1.25 for your opinions. Plus, they add new surveys daily, so you never have to run out of opportunities for extra cash and rewards. Throughout the year, you can make some good money by delivering food with Ubereats. This is an easy way to make money on your own schedule, whether that it night or day within your area. This is an easy and convenient way to make extra cash that can go towards your savings. Lower your student loan payments – Lowering your student loan payments will help you free up more cash during the month to put towards your savings. Here are 10 ways you can easily lower your student loan payments. If you’re serious about this challenge, by the end of it, you will not only have $5000 save up, you will have also become more adept with your finances. This is something everyone should strive to improve as much as possible.